The highest approval ratings for the A’s plan come from those earning $50,000 or more who live in Supervisorial District 1 (Gage – South County) or District 5 (Kniss – North and West County). The survey consisted of 400 telephone interviews of 2010 likely Santa Clara County Primary voters conducted June 16-18, 2009. Quotas and/or weights were established by gender, age, party, region, and vote history as part of the turnout model. Gender is the key demographic underlying levels of support. Women are more likely to be unsure of the 49er’s plan and men are more likely to strongly disapprove of the plan. 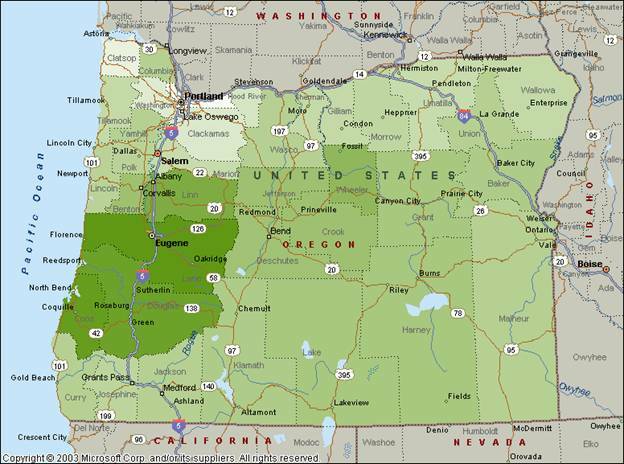 This post initiates a series analyzing voter turnout by ballot return dates by demography for the 2008 Oregon Democratic Primary. I am completing a research project looking at the behavior and impact of new voters in that election and will be sharing some of the research results during the coming weeks. This graphic shows the share of eventual voters who have voted by date. It answers the question of how quickly the voters in different categories return ballots. The first result in this series is that voting men and women turned in their ballots at approximately the same rate. This indicates there was no gender effect from Hilary Clinton being on the ballot or other factors. Sources: Oregon Secretary of State and Labels and Lists of Bellevue, Washington. For those of you interested in learning more about it, The Early Voting Information Center at Reed College: http://www.earlyvoting.net/blog. Researchers also include professors from the University of Oregon, the University of Michigan, and MIT. A recent research paper that is a good approachable summary of the work to date is: Michael J. Hanmer and Michael W. Traugott, (2004) “The Impact of Voting by Mail on Voter Behavior,” American Politics Research, Vol. 32, No. 4, 375-405. Coincidentally, the key demographic pattern of familiarity with the BART plan is much like that with the 49ers plan. Those 61 or younger are more familiar and those 61 and older are less familiar. This could have something to do with general familiarity with, interest in, and usage of public transport. CHAID (Chi-squared Automatic Interaction Detection) was used to construct the graphic. The demographic variables included in the analysis are: gender, age, race/ethnicity, political party, Supervisorial District, San Jose region (or not in San Jose), home owner or renter, income, education, vote propensity, and familiy party makeup. Unlike the 49ers, the familiarity with the A’s plan has significant variation across demographic groups. The groups that are least familiar with the plan are middle-income voters (2008 income: $30,000 to $70,000) at 58% familiarity and female Democrats, not middle-income, at 54% familiarity. Other groups are significantly higher with familiarity above 70%. How familiar are you with moving the 49er’s football team to Santa Clara? Is that very familiar, somewhat familiar, somewhat unfamiliar or very unfamiliar? This graphic presents the upper bound of down balllot Republican candidate vote by year from 1994 through 2008. Down ballot contests (Secretary of State, State Treasurer, Attorney General, and Labor Commissioner) are useful because they are “low information contests.” They do not have the multi-million dollar budgets and large volunteer organizations that allow a candidate to separate himself or herself from the party label. Age is the key demographic variable that distinguishes relative familiarity for the 49er’s plan to move. Of those 61 and younger, 77% say they are familiar. Of those 62 and older, 67% say they are familiar. This pattern of familiarity is atypical for public policy projects and probably has to do with baseline interest in the 49ers. The survey consisted of 400 telephone interviews of 2010 likely Santa Clara County Primary voters conducted June 16-18, 2009. Quotas and/or weights were established by gender, age, party, region, and vote history as part of the turnout model. The margin of error at the sample median is 5%. CHAID (Chi-squared Automatic Interaction Detection) was used to construct the graphic. CHAID is a descriptive data mining technique and is not part of a valid process for hypothesis testing. The BART plan is approved by a wide margin: a total of 72% approve of the plan. Only 19% disapprove of the plan. Nearly half of the respondents (49%) strongly approve of the plan. Earlier tracking surveys have also shown high levels of support or approval, depending on question wording. Do you approve or disapprove of building BART to San Jose? IF APPROVE/DISAPPROVE: Is that strongly or somewhat? IF DON’T KNOW: Which way do you lean? This map shows how much Dancer did in the Eugene television market (DMA) and how much better Alley did in the Tri-County Area. The more deeply shaded the green the better Rick Dancer did than Allen Alley. The lighter the shade, the better Alley did than Dancer. Statewide, their vote total were approximately equal. The most important lesson from this map is that Republican support, and, inversely, Democratic support, during the 2008 election was not monolithic and some factors could lead to dramatic improvements. There is significantly greater familiarity with the BART plan than with the 49er’s and A’s plans. This is expected since the specific plan has been discussed much longer. It also affects a much broader segment of the population, not just mass-transit users, but taxpayers.